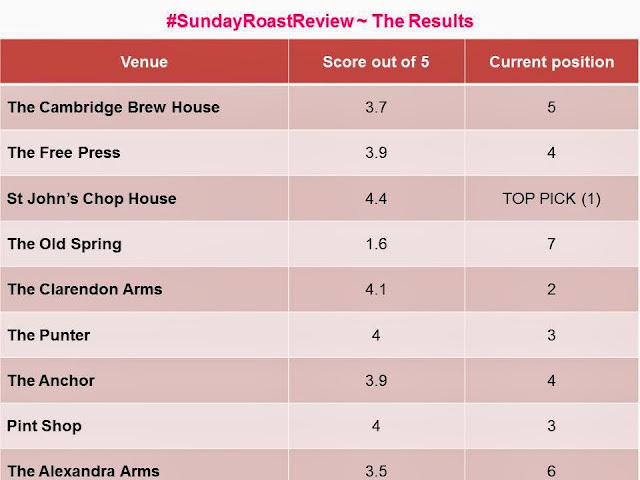 We approached the final Sunday Roast Review of 2013 feeling a little jaded after a long ten-week search had plucked us from lazy Sundays at home on the sofa in search of the best roast dinner in Cambridge. We wanted the final review of the series to be a classic example of Cambridge's finest. 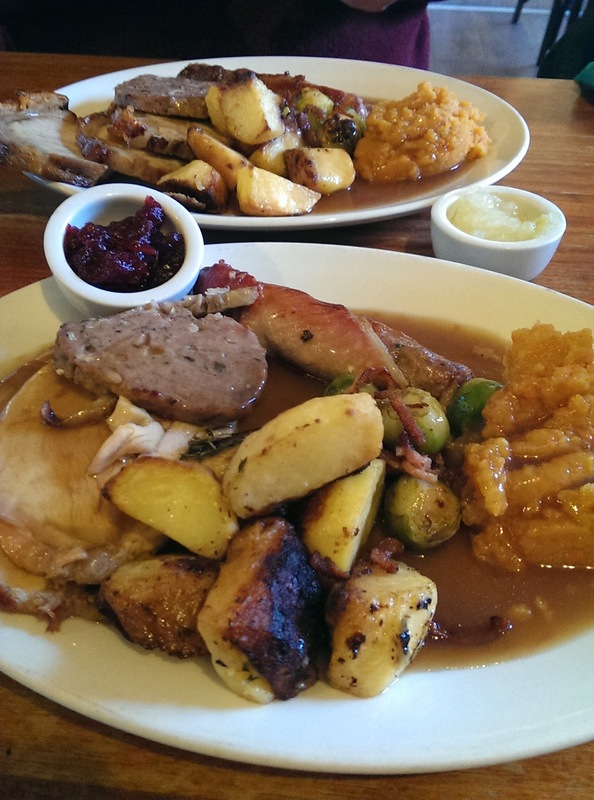 We didn't want to need a reservation at a restaurant or fancy gastro pub in order to tuck into a Sunday lunch. 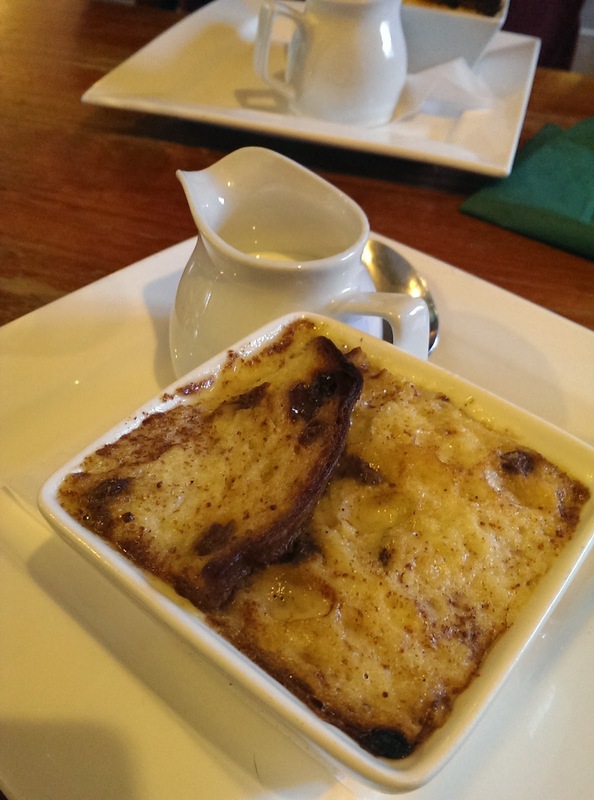 We held out hope for great food, a traditional and homely atmosphere, and a warm welcome. Popular city centre options almost all exhausted, we considered giving in to the tourist traps like The Eagle, the bog standard Baron of Beef and Mitre on Bridge Street, or even one of the Wetherspoons. Then we remembered The Maypole, the trusty freehouse on Portugal Street, tucked unassumingly away by Park Street car park and Jesus Green. Having sampled some great hearty Italian dishes there in the past, we crossed fingers for a Sunday roast menu and headed out for a final shot at finding the perfect Sunday lunch in Cambridge. We were in luck. 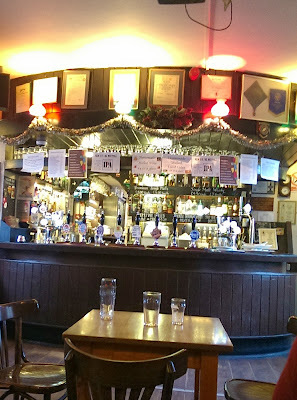 As well as a few empty tables, the specials blackboard in the warm and festive bar announced the day's roasts as pork loin and Norfolk turkey with all the trimmings for £12.95 each. One of the most expensive we had encountered in the city but, considering the pub's reputation for home cooking, we hoped one that was worth every penny. 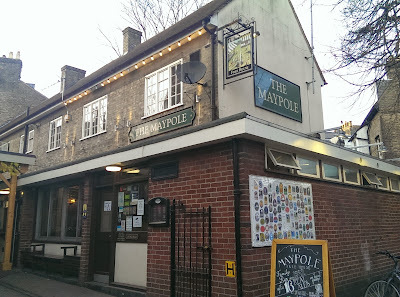 Two things make The Maypole stand out as a unique Cambridge gem: its timeless charm as a no frills, traditional city ale pub, and the flawless customer service and warm welcome provided by landlord and head of the Castiglione family, the owners of the pub for over 30 years. We noted both from the moment we sat down to wait for our food in the basic but homely bar area with relaxing classical music playing in the background and the friendly and attentive Mr Castiglione hovering nearby, chatting to customers and generally making for a lovely Sunday afternoon atmosphere. The food was just as pleasing. The most 'authentic' Sunday lunch plates we've seen so far arrived, looking like they would if served up in the comfort of one's own home. Made up of big portions and many more components than we've encountered in previous weeks, the pub's Sunday roasts featured generous slices of meat, a huge pile of roast potatoes, carrot and swede mash, sausage meat stuffing, lashings of gravy, plus pigs in blankets and a serving of sprouts with crispy bacon. The meat itself was very good, the crispy edged roast pork loin having a great flavour and the thick slices of turkey remaining, thankfully, moist and of obvious high quality. The gravy had a creamy quality that smacked of homemade, with an excellent meaty depth and moreish flavours of roasting juices. Traditional accompaniments of apple sauce and cranberry sauce, both from the jar rather than homemade, were served alongside. It was a lot of food to get through but we weren't complaining. 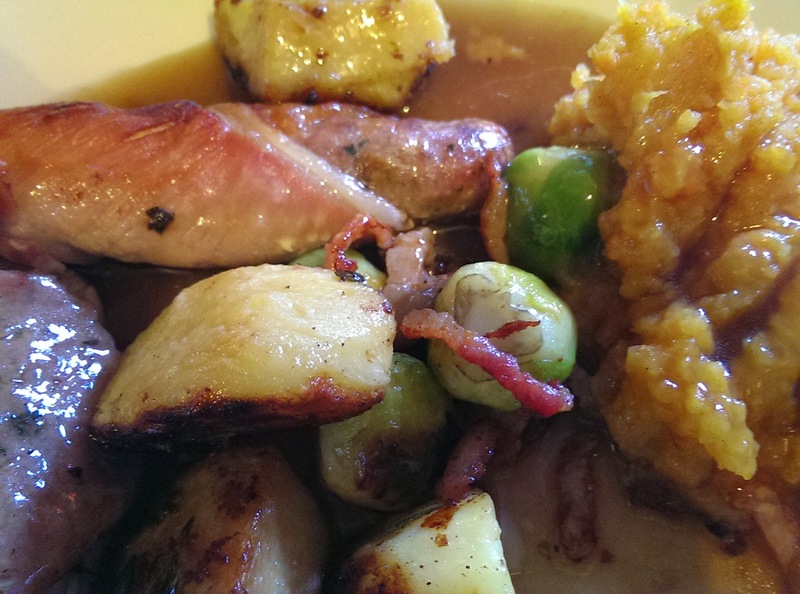 The choice of vegetables was a real hit, the sprouts with crispy bacon getting us in the mood for festive dining (and not overcooked into the mush usually associated with Christmas vegetables) and a delicious carrot and swede mash revealing fresh, sweet flavours mingling with spot-on seasoning. The roast potatoes were certainly not the best we've had, sadly being a little soft and lacking any crisp on the outside, but tasted good nonetheless and were full of the rich flavours of the meaty gravy with the tasty addition of fresh rosemary. The trimmings were the deal breaker here; we celebrated the debut appearance of a stuffing and a sausage wrapped in bacon on each plate. Stuffing is always a welcome, if not essential, element of the Sunday roast and the thick and filling slice of sausagemeat stuffing we eagerly tucked into here was fantastic. The other seasonal touch was a crispy bacon-wrapped sausage, deliciously salty, herby, and conjuring up childhood memories of the ultimate family Christmas comfort food. 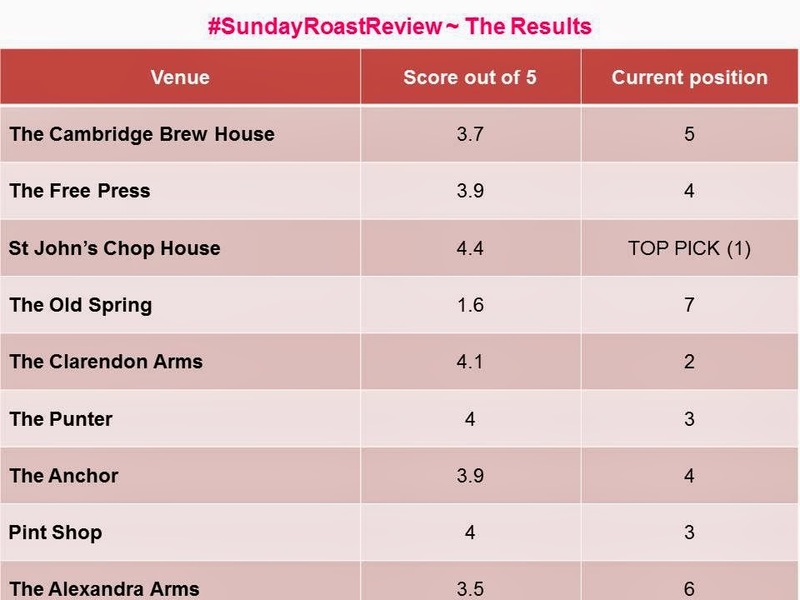 The verdict: Whilst not achieving perfection, the Sunday roast on offer at The Maypole is what Sunday lunch should really be about: good honest home cooking, hearty portions and satisfying food that makes you smile. 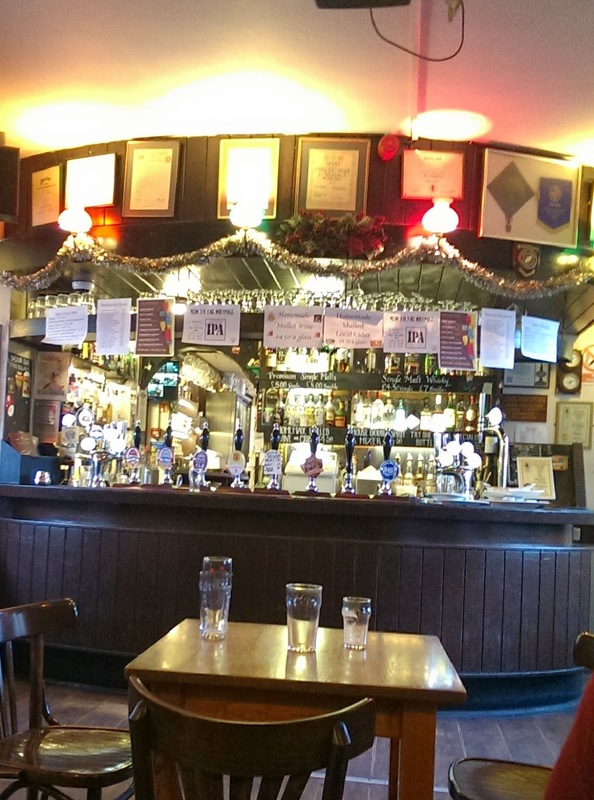 The friendly, family atmosphere make for a welcoming and relaxed environment, perfect for a chilled out Sunday lunchtime. The homemade desserts are worth an extra special mention, too (we had a delicious Panettone bread and butter pudding). The score: 3.8 out of 5 (1 on the scale being absolutely terrible and 5 equalling roast lunch perfection). Price: £45 for two people including drinks and dessert. Good news! Next year we're hunting down and rounding up the best weekend brunch spots in the city.  Tweet your comments and recommendations using #CamBrunchReview to @TheMovingFoodie.